Stacie R. Nemetz (CRD#4796055) was born in 1971 in Edmonds, Washington, raised in Olympia, Washington, and graduated from high school at Charles Wright Academy, Tacoma, Washington in 1989. 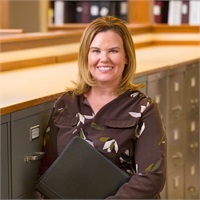 After graduating from Loyola Marymount University with a Bachelor’s of Science in Accounting in 1993, she began her professional career at Trust Company of the West in the emerging markets fixed income and trading team. Ms. Nemetz spent three years at Western Asset Management’s client service team. She was then employed by Oaktree Capital Management, LLP for 13 years rising to the position as Vice-President on Oaktree’s Relations team. Ms. Nemetz spends 100% of her time in whole-life financial planning, including investment management. NRSmith and Associates, PS is a registered investment advisor in the State of Washington. The adviser may not transact business in states where it is not appropriately registered, excluded or exempted from registration. Individualized responses to persons that involve either the effecting of transaction in securities, or the rendering of personalized investment advice for compensation, will not be made without registration or exemption.